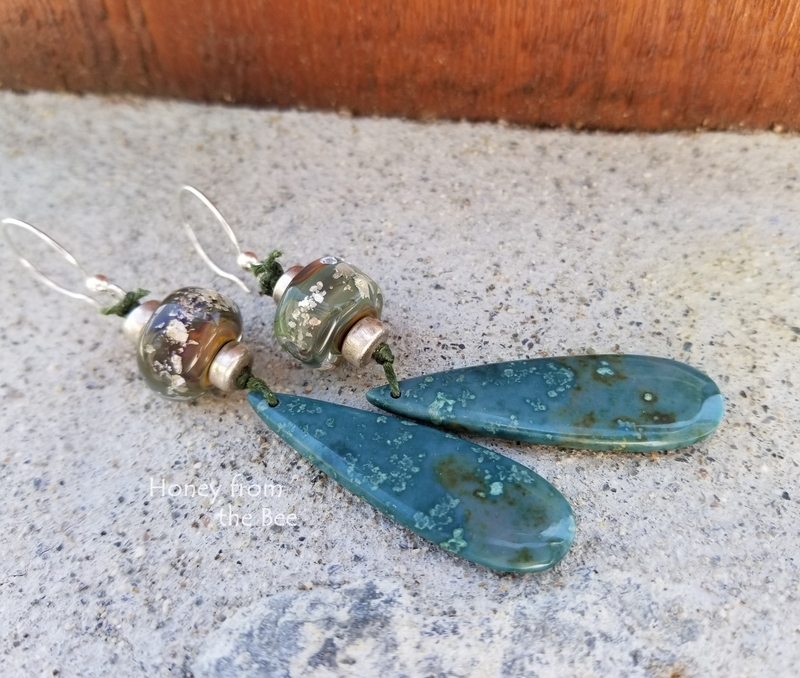 Shades of deep teal and sage appear throughout this one of a kind pair of ocean inspired artisan earrings. 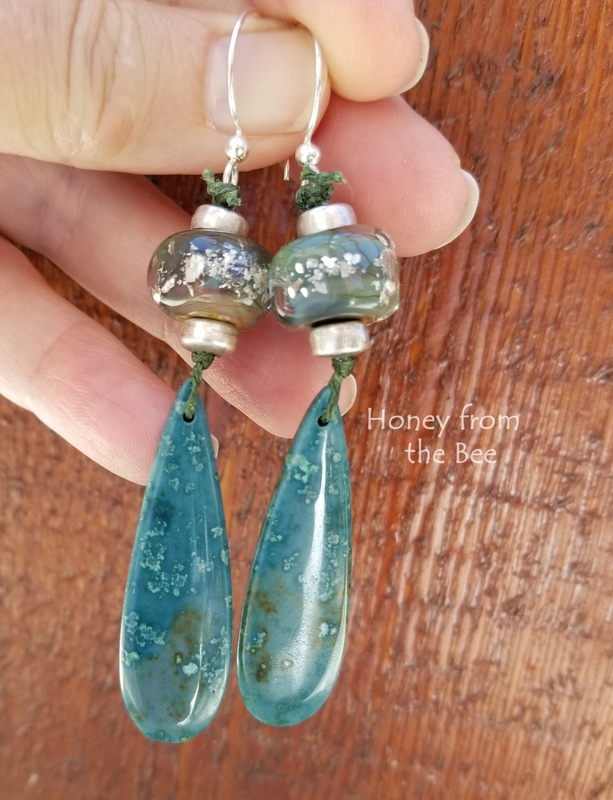 The lampwork has flecks of fine silver that shimmer and catch the light. 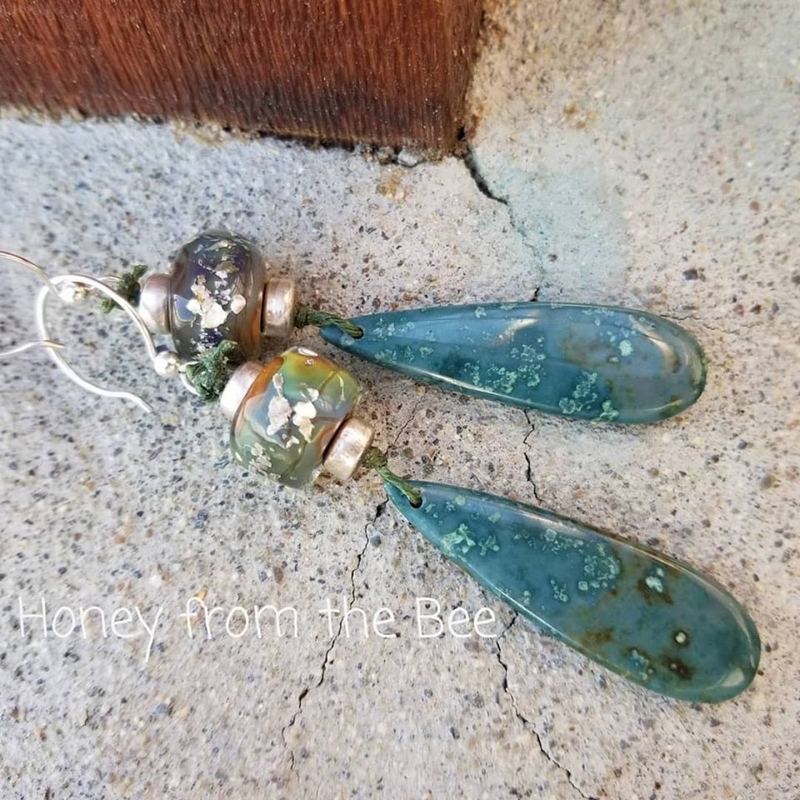 The jasper dangles are incredible in color and so perfect with the lampwork. 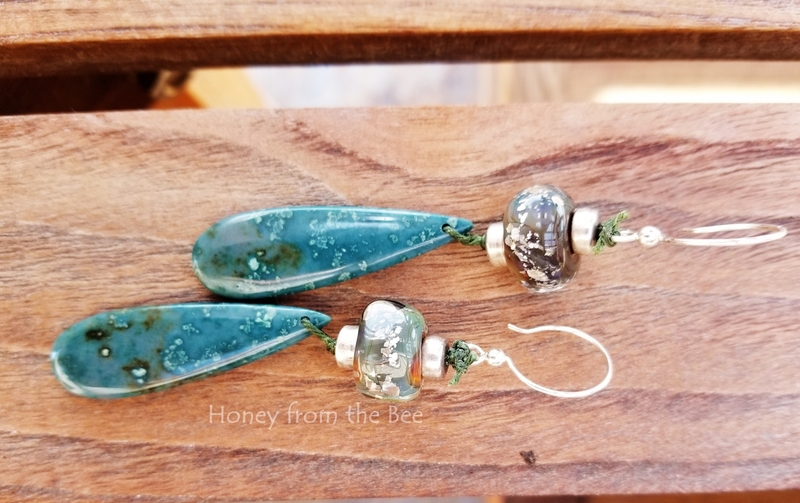 3 3/8" from the top of the earwire to the bottom of the jasper teardrop.